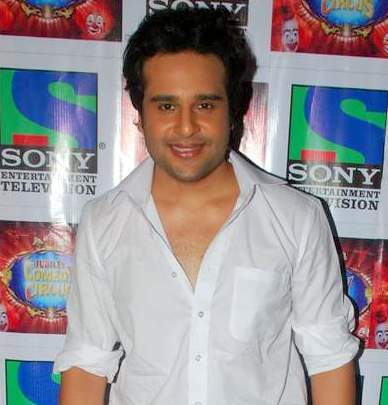 Krishna Abhishek (born 30 May 1983) is an Indian film actor and comedian. He got appreciation for his work in films like Bol Bachchan and Its Entertainment (2014). He is also a dancer and has participated in numerous dance reality shows, including, Nach Baliye (Season 3) (2007) and Jhalak Dikhhla Jaa (Season 4) (2010). As a stand up comedian, he made name after he participated in successive Comedy Circus seasons, Comedy Circus 2 (2008) and was a wild card entry in Comedy Circus 3 (2009) with Sudesh Lehri, apart from Comedy Circus Ka Jadoo (2010) and Jubilee Comedy Circus (2011).